A good understanding of Hadoop Architecture is required to leverage the power of Hadoop. Below are few important practical questions which can be asked to a Senior Experienced Hadoop Developer in an interview. I learned the answers to them during my CCHD (Cloudera Certified Haddop Developer) certification. I hope you will find them useful. This list primarily includes questions related to Hadoop Architecture, MapReduce, Hadoop API and Hadoop Distributed File System (HDFS). 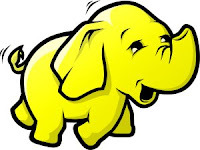 Hadoop is the most popular platform for big data analysis. The Hadoop ecosystem is huge and involves many supporting frameworks and tools to effectively run and manage it. This article focuses on the core of Hadoop concepts and its technique to handle enormous data. Hadoop is a huge ecosystem and referring to a good hadoop book is highly recommended. Below list of hadoop interview questions and answers that may prove useful for beginners and experts alike. These are common set of questions that you may face at big data job interview or a hadoop certification exam (like CCHD). Hadoop is comprised of five separate daemons. Each of these daemon run in its own JVM. Following 3 Daemons run on Master nodes NameNode - This daemon stores and maintains the metadata for HDFS. Secondary NameNode - Performs housekeeping functions for the NameNode. JobTracker - Manages MapReduce jobs, distributes individual tasks to machines running the Task Tracker. Following 2 Daemons run on each Slave nodes DataNode – Stores actual HDFS data blocks. TaskTracker - Responsible for instantiating and monitoring individual Map and Reduce tasks. Can you think of a questions which is not part of this post? Please don't forget to share it with me in comments section & I will try to include it in the list. Its always been good to find such a good interview questions. It is very useful. Thanks for this post. I'm wondering what is the SencondaryNameNode for? secondary namenode is for creating checkpoint(which is merging Fsimage and edit log file) its not a backup node for namenode. secondary name node is the not he one which can take control of the system automatically when name node fail.but the system admin can make that secondary name node as the name node and other machine as the secondary name node but it takes some time till this happens the system is in the stop mode and the processes running on the cluster will stop,that i why the name node is called as the single point failure and it has been overcome by cloudera in the yarn(mapreducev2). @Unknow: Are you sure what have you written " name node is called as the single point failure and it has been overcome by cloudera in the yarn(mapreducev2)"? How mapreduce version is related to Namenode. MRV2 overcome the SPOF of jobtracker not of Namenode. Namenode SPOF handles by hdfs high availablity. By default a new task instance JVM process is spawned for a task. a good interview questions. It is very useful. Thanks for this post. 1. How to implement sort for 1 trillion files using map/reduce? 2. How to join 2 datasets A and B (Need to move single entry even if it s present in both datasets) using Map/Reduce framework? 1. Use Secondary Sorting in Reduce job. 2. Store Dataset-A in Distributed Cache at the Mapper side using 'config' method. Then perform joining operation in 'map' method. For the answer 2, it is a performance overhead when we use distributed cache especially when the input file runs in GB. We have mapper side joins and reducer side joins to implement this. @Maheshwaran - Thanks for your comment. I would like to cover these questions in Map/Reduce categories. Stay tuned. SencondaryNameNode: Is the worst name ever given to the module in the history of naming conventions. It is only a check point server which actually gets a back up of the fsimage+edits files from the namenode. Although the secondary namenode can be used to bring up the namenode in the worst case scenario (manually) with some data loss. It is bad practice to run the NameNode and JobTracker on the same node, except for small (<100 machines) clusters. The locations of the input data is determined by the client that is submitting the mapreduce application, not the JobTracker. NameNode is a light weight process and chances of going down is fairly negligible. just few additional details for question 20, namely "How is it different from traditional file system block size?" - HDFS was design to store very large amount of data, default block size is 64 MB => fewer metadata information per file => quickly basic operations for files. - HDFS allows for fast streaming reads of data, by keeping large amounts of data sequentially laid out on the disk. This one is very important for a fast execution of a MapReduce job. Anyway, there are solutions also for work with many little files, ex. MultiFileInputFormat. Does the replication of Data on other slave nodes take place only after a Data node failure or even before that? @Sushma - The data is stored on slave nodes redundantly to use them as fail over nodes. Data can not be copied once a node is failed. Each data block is stored redundantly on HDFS to reduce node failure scenario impact. The redundancy can be configured based on the need. This is very useful information and explanation simplified. BLOCK size is "128 MB"
Number of DATA Nodes in cluster are "15". How a file size size of "3 GB" will be stored, which will be segmented to 24 blocks? Will there araise any exception as number of blocks are greater than number of data nodes? No, Each data node can have multiple number of blocks depending on size of the data node. If a data node is 64gb with block size 64MB, it can have 1000 blocks. Nope, I do not see any reason for exceptions. 3 GB file when expressed in terms of MB will be 3072 MB file. So dividing it by the block size i.e 24 gives the # of required blocks. In this case 3072 / 128 = 24. So the 3 GB file will be splitted into 24 blocks and based on replication factor the number of copies will be placed over 15 nodes. We are satisfied pleased to you that you provide interview question-answers which is really helpful to fresher.I read all your post and most you try to show all the standard language interview solution. I always see that companies look for 6-8 experience in Database architect or data warehousing. Is there any position for freshers with good knowledge of hadoop and distributed operation. Thanks for the posts. Good Job and it is very useful. I am a beginner in hadoop mapreduce, applying for job in this field. This post helped a lot..thanks..
Hadoop Certification Question I gathered from difference sources and I'm able to certification. I've prepared a pdf file for the same. If someone need pl let me know. could you please send me certification pdf to kb.margaret@gmail.com..Thank You in advance. could you please send me certification pdf to rajriti2000@gmail.com..Thank You in advance. I am planning to take the exam next month, request you to share the certification questions - mvl.hanumantharao@gmail.com. I am planning to take the exam next month, can you pls share to mail - mvl.hanumantharao@gmail.com. Could you please send the certification questions/pdf to manishrc@hotmail.com. Hi Dharmraj, please send me the pdf at rahulks121@gmail.com. Thanks in advance. Dharmraj, please send me the pdf at rahulks121@gmail.com. Thanks in advance. Hi Dharmraj, Please send me the Hadoop certification pdf to gopal.ford@gmail.com. I do have lot of material for Hadoop. Guys let me know if any one wants the same. if you get the question pdf, could you share with me at lvluodong@gmail.com? thanks!  Hadoop Certification Question I gathered from difference sources and I'm able to certification. I've prepared a pdf file for the same. If someone need pl let me know. Dharmraj, can you please send me the pdf at brags309@gmail.com? Hi Dharmraj Buwade, Please forward PDF to balachander2110@gmail.com, i have booked a slot on 26th of this month, So it wud b great if i get this PDF asap. Would you please send me the Hadoop Certification Questions PDF to the below email is? I have planned to take the certification on 12th of this month. Could you please share the PDF for my preparation? I have planned to take the certification on 12th Jul'13, could you share the PDF to below email? Could you please send me the certification PDF. My exam is on 3rd Aug'13. I need it for my final preparation. Could you please mail that pdf to "bhavanamr@gmail.com"
Please send me the certification pdf file and other material for Hadoop on amit_rajdhani@rediffmail.com. I want to do certification, could you please send me the certification PDFs and other materials related to Hadoop. My email id is "trinitron.p@gmail.com"
Dharmraj, can you please send me the pdf at vlaxmi125@gmail.com? Plz send the pdf at ravi0204@gmail.com. Dharmraj, can you please send me the certification pdf at balaji.hknv@gmail.com? Dharmraj, can you please send me the certification pdf at rajurajuds@gmail.com? Dharmraj, can you please send me the certification pdf at ramanareddy@hotmail.com? Hi Dharmraj, Please send me the certification pdf at gopal.ford@gmail.com. Thanks in advance. Hi Dharmraj, could you please send me the certification pdf at kmshussain@gmail.com, thank you. Hi Dharmraj, Kindly share the certification pdf at dilip.is.85@gmail.com, thank you. Please share the PDF for Hadoop certification to me also. These hadoop questions are very helpful to blush up my hadoop concepts. Thanks! what if secondary name node down how it impacts..
What if secondary name down, how it impacts? Awesome Info, Thanks for sharing this valuable info. Does MapReduce programming model provide a way for mappers to communicate with each other? In a MapReduce job can a mapper communicate with another mapper? Hi Dharma, Could you please send to pnreddy.svu@gmail.com? Better if you can add partitioner and sorting techniques as well. If you have received any interview questions from Dharmraj, please send it across to sudhartcs@gmail.com..
Hey Dharmraj, thanks for these really good questions and answers, and also for this nice discussion.May you please forward the questions to rakesh.bandhu.gupta@gmail.com. Can you please forward the questions to rakesh.bandhu.gupta@gmail.com.